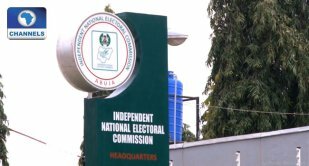 The Independent National Electoral Commission (INEC) has begun to release details of Governorship and House of Assembly candidates across states. Prior to the release of the list on Friday, there have been controversies following the outcome of primaries in some states over the names of candidates submitted to the umpire. 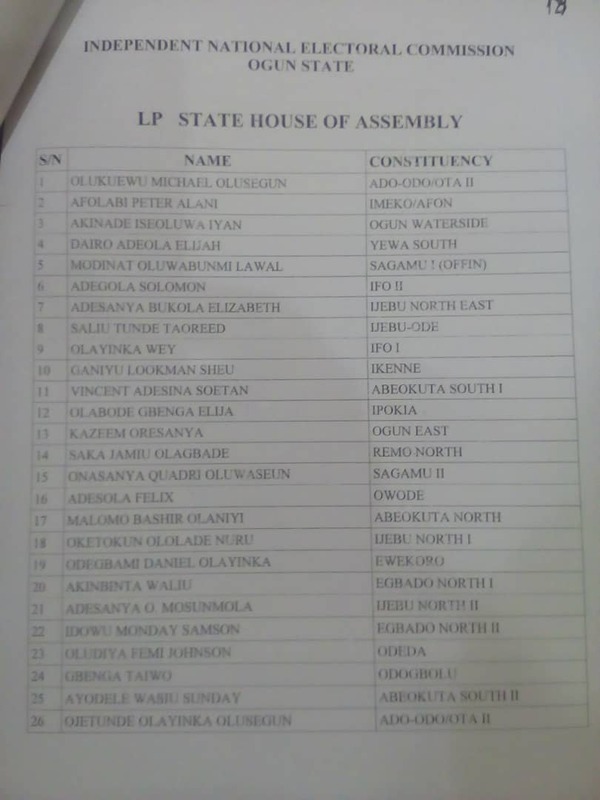 In Ogun State, the candidate supported by the governor, Honorable Adekunle Akinlade, did not make the cut as Dapo Abiodun and Bode Mustpaha’s names were published as the flagbearer and running mate, respectively. The commission also released the name of Mr Lawal Shittu as the governorship candidate for the People’s Democratic Party (PDP) and Reuben Abati – a former presidential spokesperson as his running mate. 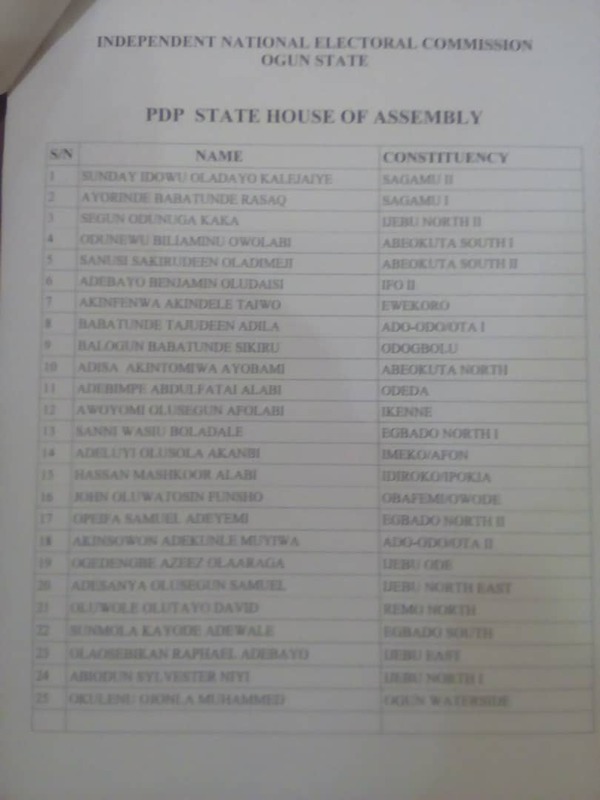 In Cross River, the Minister of Niger Delta Affairs, Usani Usani, did not make the list. While Senator John Enoh was listed as the candidate of the APC, the sitting Governor, Ben Ayade was listed as the candidate of the PDP. In Imo State, INEC failed to publish the name of the APC governorship candidate.